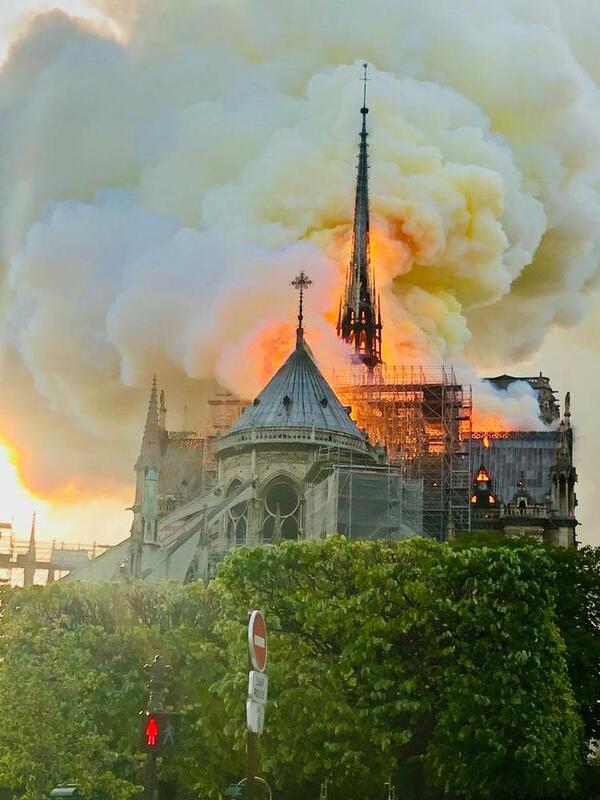 With flames bursting through the roof of the cathedral. 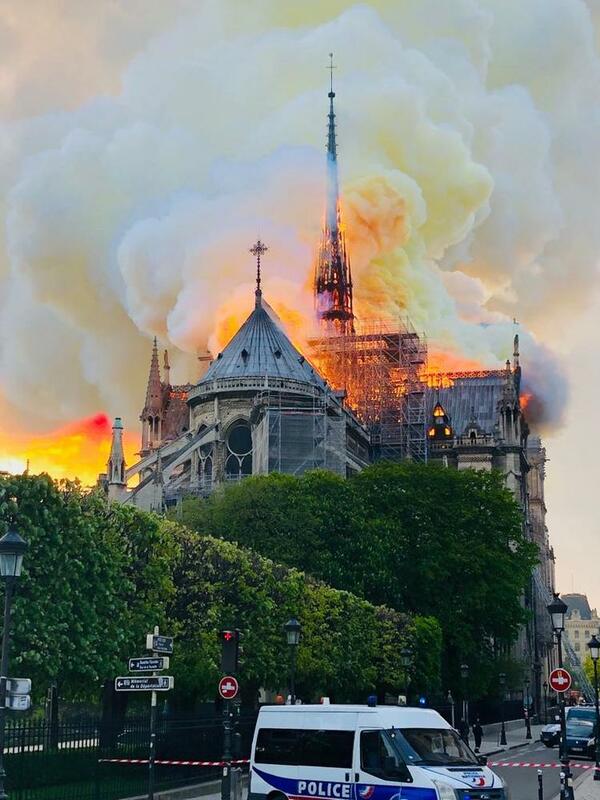 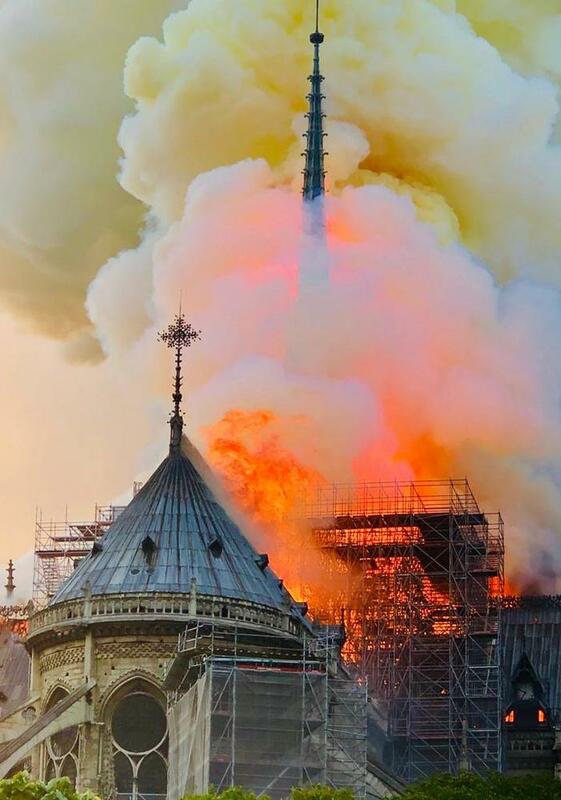 Smoke and ash were reported across the city over a large area as flames moved towards the cathedral’s two bell towers. 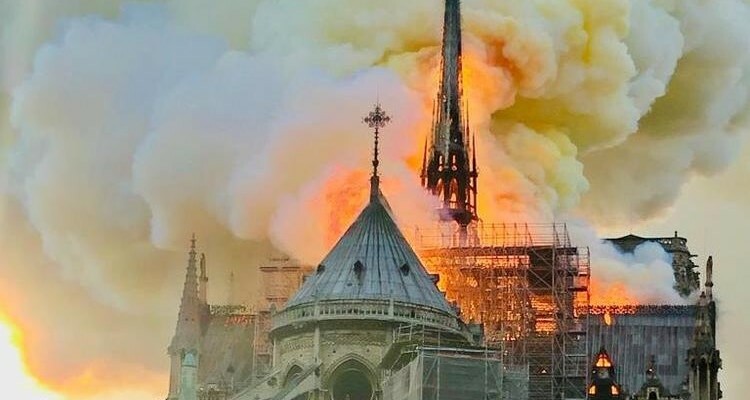 The fire has claimed the cathedral’s spire, a 19th-century addition constructed of a wood and lead structure. 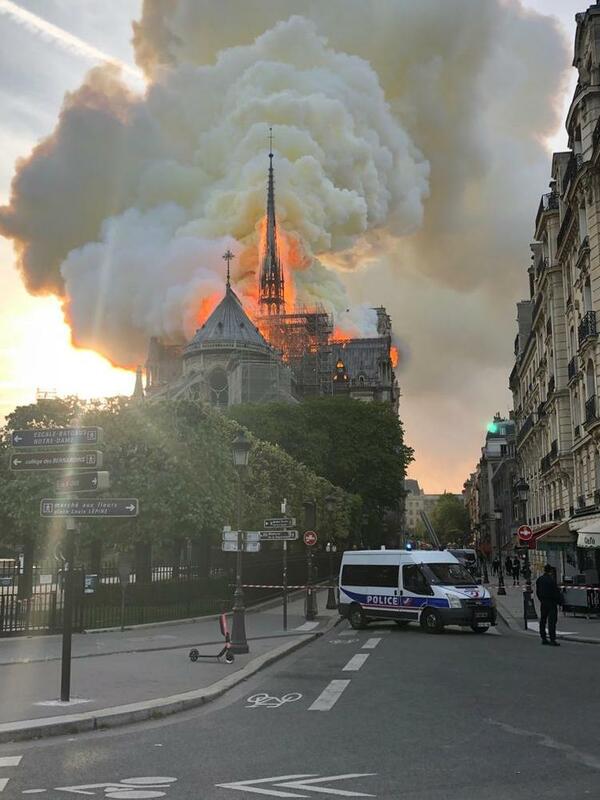 The French President Emmanuel Macron is attending the scene, having canceled a planned speech to the nation. 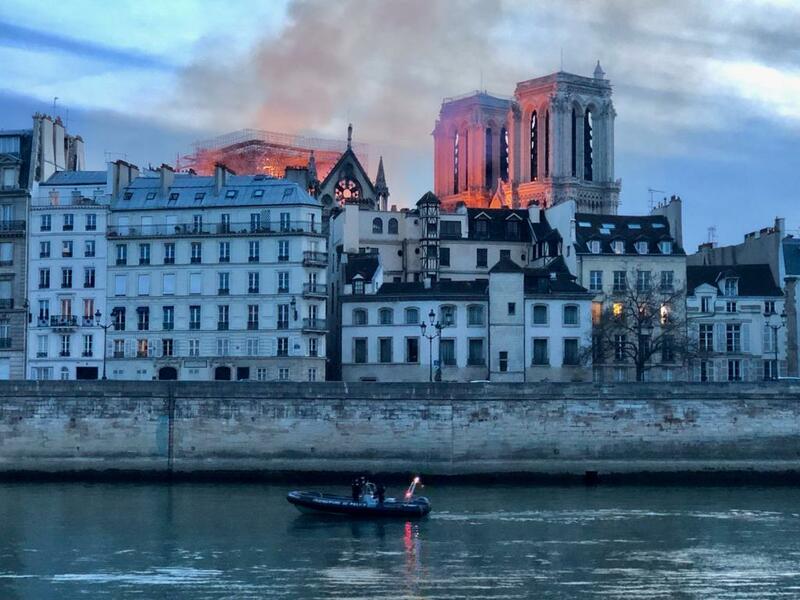 There are currently no reports of deaths, however one fireman has been seriously injured.